The Unikeets are here! The only way to add these exclusive, special edition characters to your collection is with the 2-Pack Egg Carton! Place them on a light to see them shine bright! These magical new friends come inside an egg carton with sparkly lid on top and molded cloud-shaped nests on the bottom! 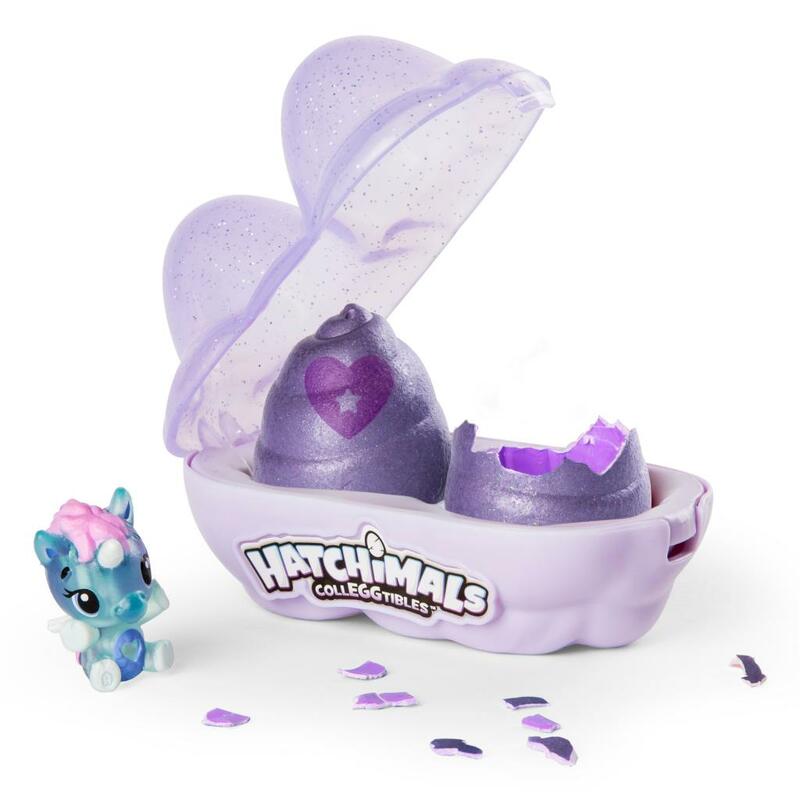 To meet your new Hatchimals, lift the twinkling lid and hold one egg in the palm of your hand! Your special Unikeets have eggs shaped like magical unicorn horns! 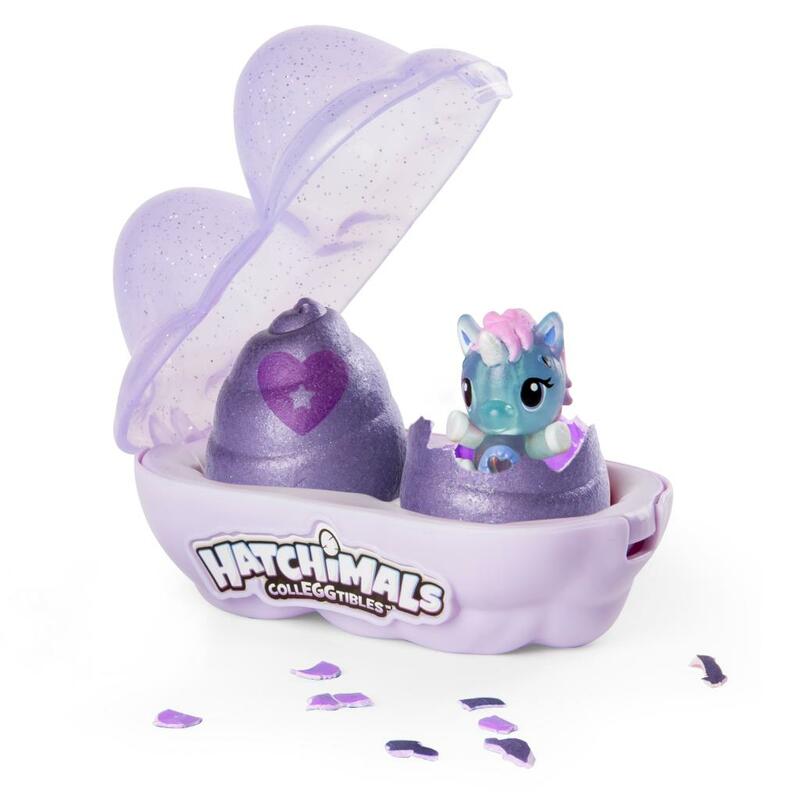 Warm up the egg until the purple heart turns pink, then press down to crack the shell and meet your new friend! With tiny horns and sparkly wings, these Unikeets love to shine! Place a light below to see them glow! Once you’ve hatched your duo, place them back inside the cloud nests to glow on the go! Take your Unikeets with you and hatch bright! 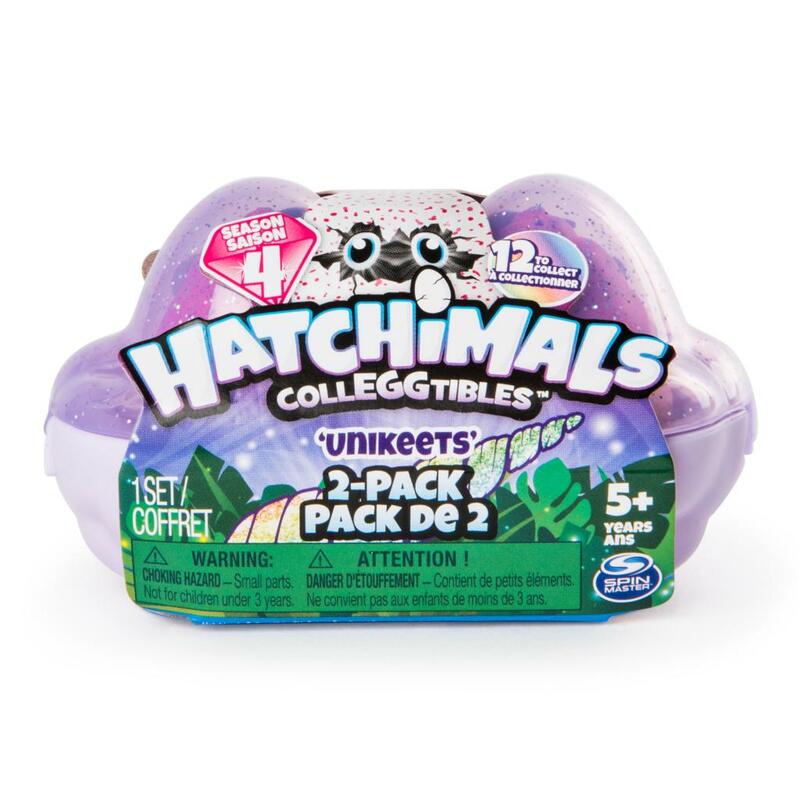 SPECIAL EDITION HATCHIMALS COLLEGGTIBLES: The Unikeets have floated in from Hatchtopia on a cloud! Add these exclusive, special edition characters to you collEGGtion – only available through this 2-Pack Egg Carton! Place on a light to see them shine bright! CLOUD-SHAPED EGG CARTON: Keep your Season 4 Hatchimals cozy inside the egg carton! Lift the twinkly lid of this egg carton and you’ll find two cloud-shaped molded nests on the bottom. Once you’ve shown how your Hatchimals shine, store them in this carrying case and glow on the go! HOW TO HATCH: Unikeets have eggs shaped like magical unicorn horns! 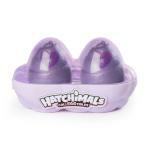 To start hatching, rub the purple heart on their egg shell until it turns pink! Then, press down to gently crack the shell and meet your new friend! 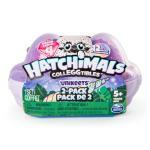 Hatchimals CollEGGtibles 2-Pack Egg Carton is a great gift for kids aged 5+. 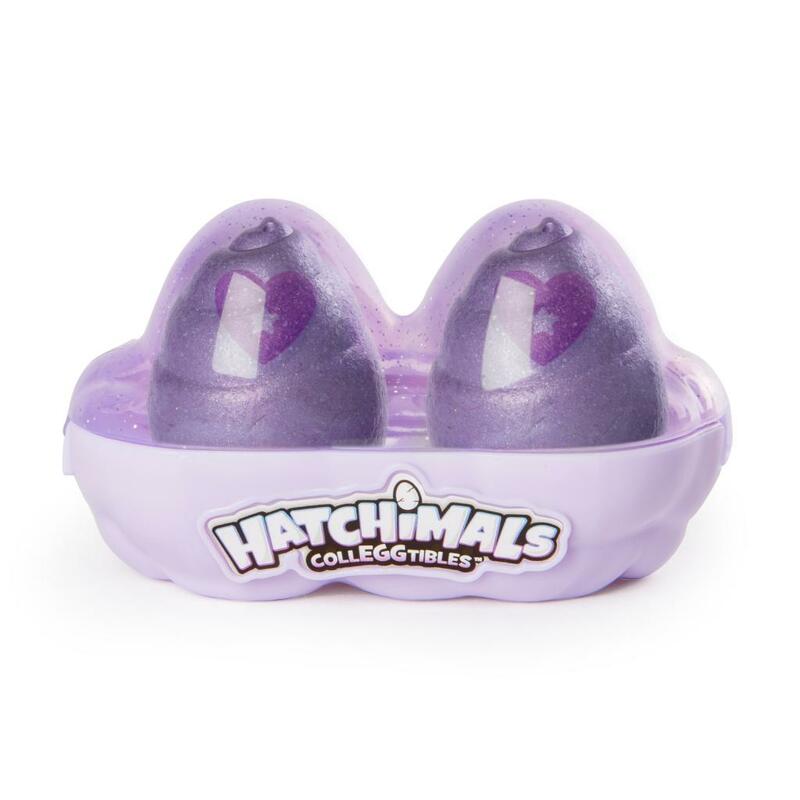 Combine with the Hatchy Home Light-up Nest playse (not included) t to show how your Hatchimals shine!